For many people, the so-called free market is a symbol of progress, modernity and civilisation. Every citizen has the power to consume the products s/he desires, and, in the pursuit of expanding their capacity to consume, every individual can aim to increase their personal wealth through the omnipresent opportunities of that same free market. In the decade leading up to the global financial crisis, the number of available jobs in the UK gradually decreased, while unemployment continued to rise. The banks, as we know, responded to this by providing more loans to the people most desperate for money. The collateral for these loans was people’s homes, whose prices, it was assumed, would continue to increase in value. This process was of course short-sighted, leading to an eventual, inevitable collapse: the global financial crisis we are all by now familiar with. However, a build-up and collapse of a comparable nature took place this August that few have recognised as being part of the same short-sighted squeeze by corporate interests of the poorest in our society. 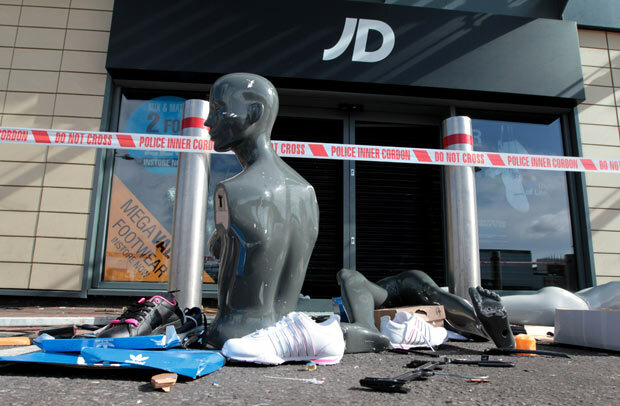 Two of the most significant retail outlets targeted during the riots were Footlocker and JD Sports. These shops sell the latest sports clothing and footwear, popularised through a combination of British working-class and US hip-hop culture. Footlocker and JD quickly latched on to this popularity, and have manipulated features of African-Caribbean urban youth culture to their financial advantage. The same market rationale that offered unsecured loans to the low-waged and the unemployed was also being played out in the retail industry. Perhaps the most worrying aspect of this manipulation is the exploitation of ‘postcode wars’. These are conflicts between young people in London (and other parts of the UK) over “territory”, with groups claiming ‘ownership’ of certain postcode areas. Conflict over territory is of course omnipresent throughout human power relations. We see manifestations at every level of government, from current UK foreign policy to events at the Dale Farm Traveller site in Essex. Soon enough, sports clothing chains began to market baseball caps with ‘East London’, or even specific postcodes, woven into them, for young people from different areas to advertise their locality. 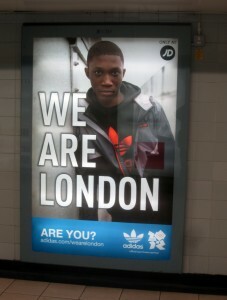 More recently, Adidas engaged a number of grime artists to advertise its clothing. Bashy, Maxta, Scorcher and others were clearly selected specifically for their relationship with working class, particularly African/Caribbean, young people in urban areas. 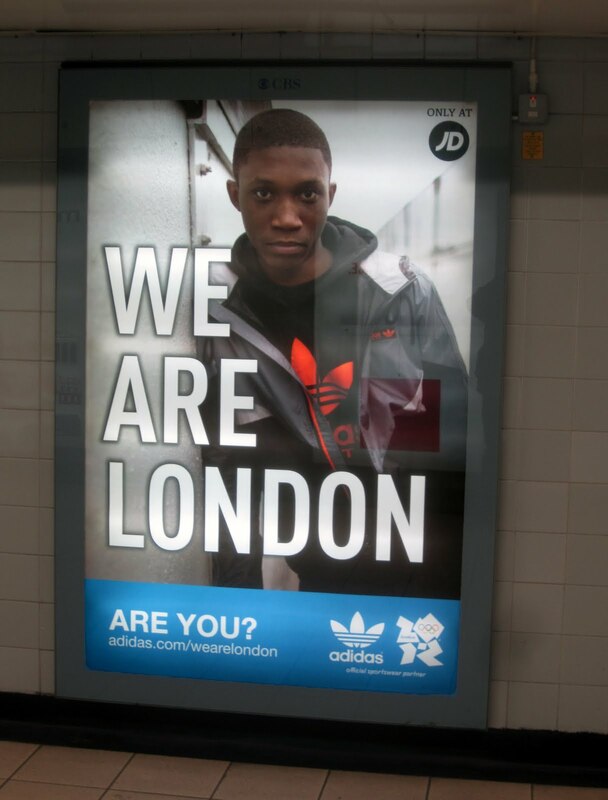 Adverts on billboards, buses, train stations and the internet sprang up across the country, urging England’s urban youth to purchase expensive and apparently exclusive tracksuits and trainers. As unemployment increased and spending cuts began to bite, the specific sports advertising aimed at young people in urban areas only became more prolific. Product placement became an additional avenue through which grime artists were sponsored by Adidas and other brands to wear their products in music videos, photo-shoots and television appearances. Sports shops have become the holy grail of urban consumerism. Dalston Shopping Centre in Hackney, East London, situated next to the thriving African, Caribbean and Asian market stalls of Ridley Road, boasts both a JD Sports and Footlocker alongside the far cheaper Peacocks and pound shops which dominate the local high street. Their £100 price tags are incongruous in this part of Hackney. Yet these sports outlets were always popular, as evidenced by both the hubbub inside the stores, and the clothing of young people in the surrounding area. Most telling though of course, was the state of these stores following the riots in August. Although a variety of high street stores were looted, JD Sports and Footlocker were clear targets for young people during the uprising. They stood out as having the most expensive products (apart from electrical items) and were highly valued as a manifestation of the hyper-consumerism nurtured in our inner cities. 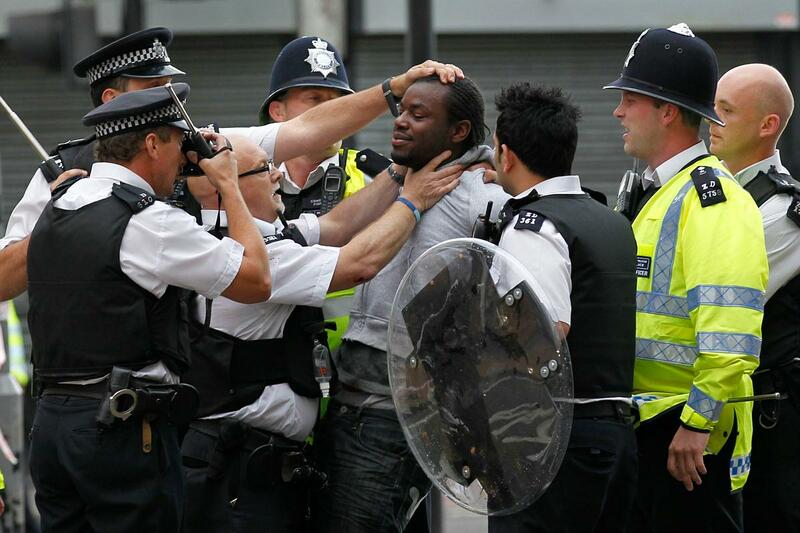 The frustration of being criminalised by police on the streets and demoralised by corporate advertising culture are the causes, not the excuses, for the UK riots. As Stafford Scott of Broadwater Farm Estate in Tottenham, North London explained: “looting comes from the belief that if you cannot get equality and cannot expect justice, then you better make sure that you ‘get paid’. ‘It’s all about the money!’ is the motto of too many young black men, who have given up all hope of attainment in a white man’s world”. The smash-and-grabs of high street stores were the bursting of the consumer bubble which corporate interests had pushed on Britain’s Black working class for years. Just like the bankers, they were too short-sighted to ever contemplate the collapse of their dependency on large portions of the income of the poor. It appears that, for the white-dominated corporate boardrooms, ‘It’s all about the money!’ was their motto too. The crisis-ridden nature of capitalism is a long-term issue which shareholders and PR consultants don’t have the time or inclination to consider. But as unemployment and deprivation escalate, so does corporate propaganda, until the next uprising against a consumer culture which may become the eventual architect of its own demise. Last week, in a pie and mash shop in Hoxton, Hackney near where I work, a film crew were shooting another Adidas advert starring grime artist Wretch 32. The sports shops in Dalston have replaced their glass fronts and, like the banks, it’s business as usual. Adam Elliott-Cooper, a writer and activist, is Associate Editor of Ceasefire. His column on race politics appears twice a month. He tweets at @adamec87. « Previous: Opera How safe is Pappano in London? Very well written piece. Except that I take exception to the constant portraying of the riots as an issue of race. This happened up and down the country from London to Gloucester to Manchester, and was in no way a predominantly black riot except in areas with naturally higher black populations. So why is it constantly portrayed as a race issue? If you ask me it is the media trying to push the issue onto one group so as to marginalise and demonise, making it not a nationwide issue rather a small issue for one small ‘minority’ of society. I can’t agree with your sentiments from that point of view nor those of Stafford Scott. This was a class / cultural issue, not a race one.